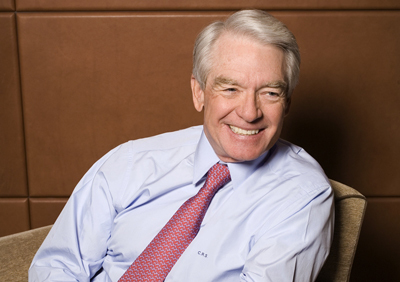 Charles Schwab makes a critical point in Every Job Requires an Entrepreneur in the 9/29/11 Wall Street Journal. We cannot tax our way out of this. We cannot artificially stimulate our way out of this. We cannot regulate our way out of this. Shaming the successful or redistributing income won’t get us out of this. We cannot fund our government coffers by following the “Buffett Rule,” i.e., raising taxes on Americans earning more than $1 million a year. What we can do—and absolutely must—is knock down all hurdles that create disincentives for investment in business. The simple fact is that every business in America was started by an entrepreneur, whether it is Ford Motor Co., Google or your local dry cleaner. Every single job that entrepreneur creates requires an investment. And at its core, investing requires confidence that despite the risks, despite the hard work that will certainly ensue, the basic rules of the game are clear and stable. Today’s uncertainty on these issues—stemming from a barrage of new complex regulations and legislation—is a roadblock to investment. We have to clear that uncertainty away. Even the Bush tax cuts had a muted effect because they had an expiration date. When the GOP lost in 2006 and 2008, voters assumed they would expire and thus they had little faith to rely on them to make their decisions. Every couple of months another barrage of rhetoric about fairness and raising taxes keeps businesses sitting on their cash. More than a tax cut we need tax consistency and we need to stop changing the rules every few months. The regulations have long passed the absurd level. We can not buy the light bulbs we want, we can not flush our toilets with as much water as we would like, and Gibson guitars cannot even use the wood they prefer to make guitars without some government goons raiding the place. An while these regulations are visible to all of us the volume and absurdity of the rules and regulations businesses face is beyond comprehension. Even the agencies that enforce them do not understand them, and the legislators who pass them into law are utterly clueless. The same is true for this amateur administration which has by far the lowest representation from the private sector of any president in a hundred years.